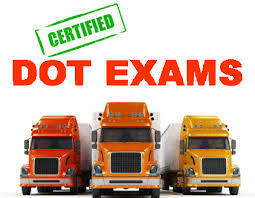 The Department of Transportation requires a DOT physical examination must be administered by a certified medical examiner, CME. Dr. Robillard is a Certified Medical examiner, 4694458378. Yes, to ensure your spot and minimize waiting. Fill out only page 1. Bring them to your appointment. What is involved in DOT physical? Physical examination which will include the following 12 areas. Will my DOT physical include a drug test? Your DOT physical does not involve a drug test. There is a urine sample involved but this is only to test for underlying disease and does not test for drugs. DOT also has requirements regarding Drug and Alcohol testing. If you are required by your employer to have a drug or alcohol test as well as your DOT examination, please let us know so we can schedule accordingly. Click here to see the DOT requirements for drug and alcohol testing? What will I receive to show my employer I passed my examination? Upon passing your examination, you will receive your examination documents to give to your employer as well as a laminated certificate that you will keep. Your physical examination is valid for 2 years. It could be less if you have complications like heart disease, high blood pressure or diabetes.